My personal favorite is Kobo Aura, which is among the best e-readers on the market today. If you haven’t tried this one already, check out below for why it is the best e-reader in my opinion. It is same as the Kobo Aura HD but a little smaller in size. Its size and great display are two of the primary reasons why it is such a favorite product today. It comes from a Canadian company, Kobo, which is not very big in the US market but enjoys good standing in foreign countries, making it the best e-reader in my eyes. According to the company’s CEO, Michael Serbinis, about 65% of the company’s business is generated outside of the US, but things are changing now with many people considering it to be the best e-reader. The device is quite similar to Kobo Glo, and if you go for Kobo Aura vs. Paperwhite, you’ll realize how it’s even better than the latter making it one of the best e-readers out there. It comes equipped with a Freescale i.MX507 1GHz processor, which is quite powerful. The device has an internal storage of 4GB, expandable up to 32GB. You can charge the device with its Micro-USB port, which can also be used to transfer data. It also comes with integrated WiFi to let you enjoy Kobo’s online bookstore. 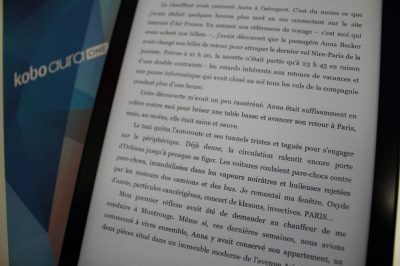 Let’s look at some of the main pros of Kobo Aura. Kobo Aura’s design and display stand out among the competition. Its chiseled and back panel gives it a professional look, mainly due to the textured finish. The e-reader is available in two colors (black and white) and looks very attractive. At just 174g, it is among the lightest front-lit eBook readers out there. It is, in fact, about 32 grams lighter than one of its major competitors, the Kindle Paperwhite. Even if you search for Kobo Aura vs. Paperwhite, you’ll realize how the former stands tall. 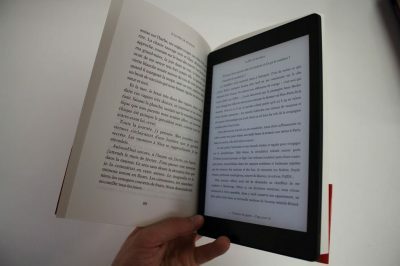 The small size of the device allows you to hold the device for long hours without any trouble, making it possible to read pages at a stretch. The screen comes with a border, but the company calls the display “edge-to-edge” due to its ‘one surface’ design. The touchscreen is highly responsible as well. Its 6 inches screen is big enough to read all kinds of content. The slim bazel reduce the dimensions of the device and improves the grip. Moreover, the e-reader has a flat surface, which helps keep the device compact. With dimensions of 150mm x 114mm x 8.1mm, the e-reader perfectly fits in your pocket. It has a durable design thanks to its squared-off corners and straight edges. The device comes with ComfortLight front-light technology that lets you read in darkness or dim environments without affective your eyes or the overall experience. It comes with a physical button to turn on the light. It is as good as Kindle Paperwhite if not better. It displays uniform results. However, you’ll see a brighter light on the top. 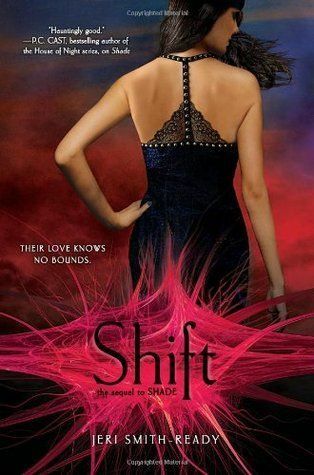 Kobo Aura is very easy to use and navigate. You will find all the features on the home screen, which is extremely easy to use. Many e-readers can be complicated but not the Kobo Aura, making it the best e-reader. All the features are presented neatly and can be accessed without any trouble. The device shows your latest reads with a brief blurb of the text and information about the author. It also has a Beyond the Book button that offers you more information on the places and figures included in the text. You can use this for the whole book or individual chapters. This feature is very useful for people who like to dig deep. An excellent thing about this feature is the fact that it works offline. However, you’ll have to buy it to enjoy ‘further reading.’ The store offers some other valuable software as well, including Kobo’s Collections, a collection of content. The store is very easy to navigate through, and most items are reasonably priced. The overall experience of using the device is unique. It also makes for a great travel buddy thanks to its lightweight and other amazing features. It offers you access to valuable reading stats giving you insights on your reading habits including how much you’ve read and how long before you reach the end of a chapter. This does not only enhance the overall user experience but can also push you to read more regularly. 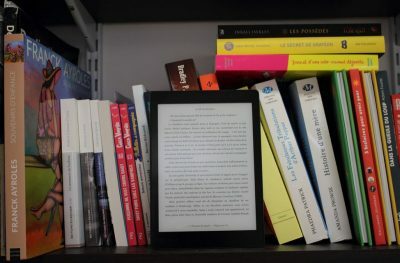 One significant quality that makes this the best e-reader is the new technology offered by the device. It helps save time and lowers eye strain by reducing flashing. E-ink allows the screen to refresh every few seconds to minimize artifacts, also known as ghosting. If you’ve dealt with older e-readers, you must have dealt with the screen refreshing every few pages. However, there’s no such problem with Kobo Aura as it allows you to read dozens of pages without flashing. It also offers pocket integration, a feature that lets you wirelessly sync articles to enjoy offline reading. The feature is available on Android and iOS and can enhance your overall experience. Another feature I love is the Reading Life feature. It lets you unlock a mix of reading-related achievements. It can motivate you to read more by pushing you to unlock new achievements. Kobo Aura’s battery life is one of its most incredible features. The battery is made to last for about two months offering 30 hours of reading time. If you’re Googling Kobo Aura vs. Paperwhite, then let me tell you that Kobo Aura wins here as well by providing a longer runtime. WiFi drains the battery very quick. If you want to enjoy a longer runtime, you must keep the WiFi switched off. For me, Kobo Aura is the best e-reader for all the right reasons. It’s sturdy, easy to handle, takes care of your eyes, and quite durable as well. However, it’s a little pricey.